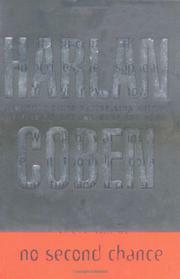 Once again, Coben (Gone for Good, 2002, etc.) expertly tugs at a suburban citizen’s most ordinary fears until he finds a mind-boggling criminal conspiracy at the other end of the line. Pediatric reconstructive surgeon Marc Seidman’s family life ends with two shots into his body and another into his wife Monica’s, leaving her as dead as Marc was supposed to be. When he awakens 12 days later, he learns that his baby girl Tara has disappeared from his home as well. There’s a ransom demand, and Monica’s wealthy, remote father is happy to pay the freight, but Marc ignores Edgar Portman’s wishes, tips off the police and the FBI, and loses the money, any hope of recovering Tara, and his crackhead sister Stacy, who dies of an overdose soon after the cops tie her to the abduction. Eighteen months later, though, the kidnappers give Marc the second chance they swore they wouldn’t: For another $2 million, they’ll return Tara, whose hair samples they’ve already sent to her grandfather. And now Marc has a new ally, his college girlfriend Rachel Mills, a former FBI agent who just happens to have turned up again. If you think Marc and Rachel will outfox the kidnappers this time around, you don’t know Coben, who’s looking way past the second abortive ransom drop to a racket that entangles a washed-up child TV star, the protector she met in the loony bin, an improbably successful adoption lawyer, and assorted Serbian extras. And just in case these malefactors aren’t enough, he casts suspicion on Dina Levinsky, the abused girl who used to live in Marc’s house; on Rachel (how did her husband get shot to death? ); and even on Marc himself (why were he and Monica shot with two different weapons?). Irresistibly overstuffed. Coben has blossomed into the male Mary Higgins Clark.